Other Regions of The American Iris Society also have fall meetings that members of Region 21 can attend. This is another way to learn more about irises, obtain more judges training, and meet other irisarians. Region 18 (Kansas and Missouri) is particularly convenient for many members of Region 21 to visit. This year the Region 18 Fall Meeting is in St. Joseph, Missouri at the Remington Nature Center on October 5th and 6th. Bonnie Nichols, president of the Novelty Iris Society, is the speaker. She is also presenting 2 hours of judges training on Novelty Iris. More details on the schedule are here and the registration form (PDF) is available. You can find details on all the 2018 Regional Fall Meetings in this table. Hope to see you at some of them! Another great chance to see old friends and meet new ones. This year we are meeting in Ames, Iowa Friday evening and Saturday, August 10-11. 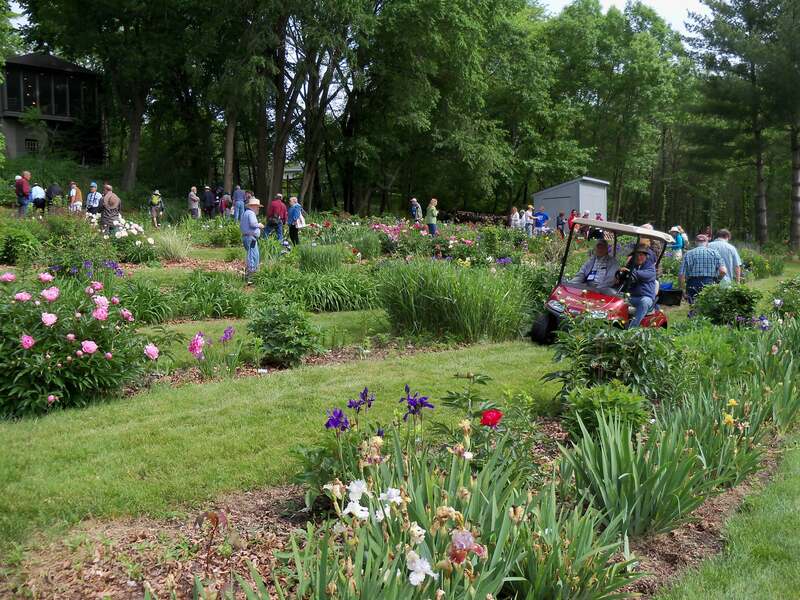 Mike Lockatell is our featured speaker and judges training presenter with Cool Season Reblooming Irises. The registration form (PDF) has the details. After the meeting, you will be able to explore the Reiman Gardens grounds and butterfly wing. The current exhibition is the 13 kinetic sculptures “Wind, Waves, & Light Sculpture Exhibit” by George Sherwood. The Can-West Iris Society is having their 2018 iris show June 3, 2018 in Winnipeg in the Bourkevale Community Center. Details can be found in the Can-West Spring 2018 newsletter. The show schedule is also available on their website. Preceding the show is judges training on Saturday, June 2nd. Sandy Ives will give a session on Siberian irises and Maureen Mark will be doing garden training. Again, see the newsletter for details. My apologies for not getting this in our previous listing of Region 21 iris shows. I was aware of the show and B. J. Jackson, the show chair, had sent me the information. I totally blanked. June 2-3 Scottsbluff, Nebraska – details. Update May 15 – I missed one show. The Can-West Iris Society 2018 Iris Show is June 3rd in Winnipeg, Manitoba. See more in this Region 21 post. Kris Jurik will be speaking to the Central Iowa Daylily Society April 14th. Her talk is ‘So you want to see my irises- which ones, and when?’ Kris and Tom Jurik have an incredible garden! You may remember it as a host garden during the American Iris Society 2017 Convention. The meeting is in the Fisher Community Center, Room A, Marshalltown from 1:30 pm to 5:00 pm. The complete 2018 calendar for the Central Iowa Daylily Society can be found here. Dear Iris Lover: The American Iris Society and the Society for Louisiana Irises convention will be held in New Orleans from April 8, 2018 through April 14, 2018. New Orleans 2018 AIS/SLI Convention! Don’t wait to register — there is only a limited amount of available spots left. Due to Amazing Demand registrations will close when tickets are SOLD OUT. This is a wonderful opportunity to attend an iris convention in a historic and beautiful city and to tour some fantastic iris gardens. Bus tours are scheduled for Wednesday, Thursday and Friday! An iris show will be in City Park on Saturday! The hotel for the convention is the Hilton New Orleans Airport Hotel (504-469-5000) located right across from the Louis Armstrong International Airport. 24-hour shuttle service is available to the hotel and back. Again, it is not too late to register and attend this great event. Make a vacation out of this wonder opportunity. 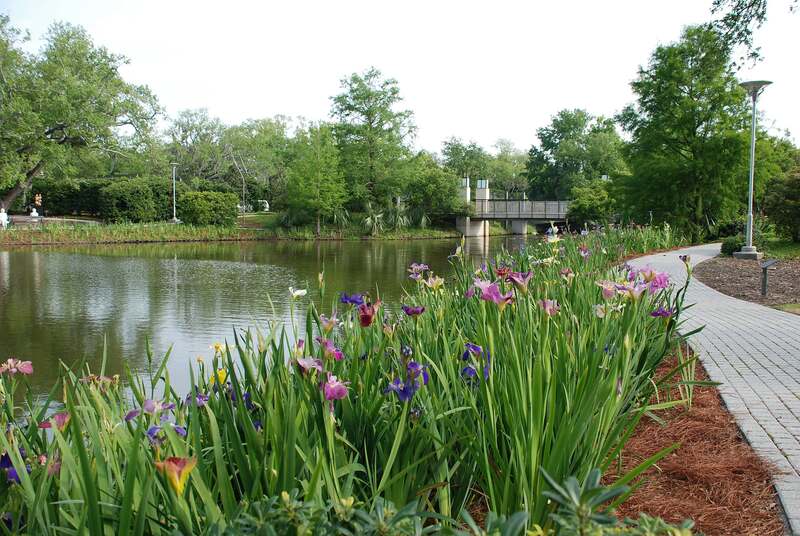 See Louisiana irises in their native habitat. Meet old friends and make new ones! HOPE TO SEE YOU IN NEW ORLEANS! The Region 21 Fall Meeting this year again has a great lineup. We are meeting August 10-11, 2018 in Ames, Iowa. 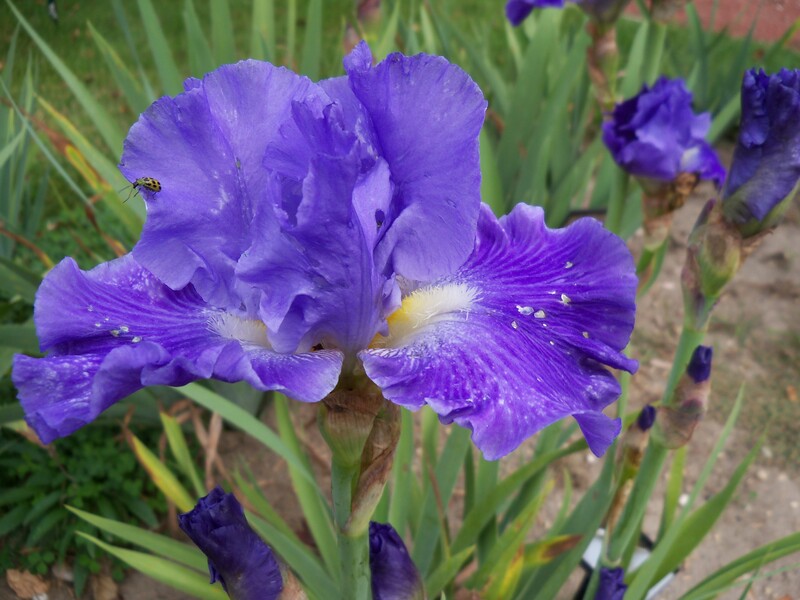 “One Blooming Iris After Another” has Mike Lockatell as our featured speaker with Cool Season Reblooming Irises. The registration form (PDF) has more details. Hope to see you there!